The Organization for Refuge, Asylum and Migration (ORAM) is launching its resettlement programme for refugees fleeing persecution based on sexual orientation or gender identity. 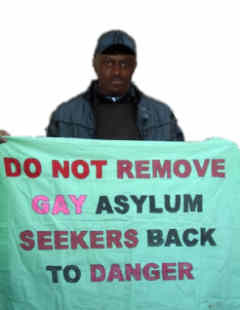 The aim is to create supported resettlement environments for lesbian, gay, bisexual, transgender and intersex (LGBTI) refugees. The pilot resettlement site is San Francisco, but ORAM is also working with ‘groups of five’ sponsorship groups in Canada. ORAM is eager to immediately make this programme available to as many refugees as possible. Readers are encouraged to contact Rachel Levitan if they know of refugees who would qualify and could benefit from this ground‐breaking program. The email should include a half‐page profile outlining the person’s gender, age, education, employment history, languages, reasons for fleeing country of origin and particular vulnerabilities. Partner groups are ready for an immediate referral.